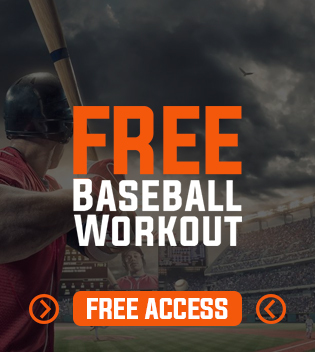 This page states the terms and conditions under which you may use the baseballtraining.com site, which is the property of KBM Marketing Ltd. (“KBM”). By using this site or clicking “I Agree” you agree to be bound by the terms and conditions of this agreement, even if you have not read them. It is important to read this entire agreement. Note that this contains provisions that may limit your rights, such as under the section entitled “Limitations”. Copyright 2016 KBM Marketing Ltd. All rights reserved. The contents of this site are owned by and copyrighted by KBM and its suppliers and may contain trademarks of KBM or others. You may print, copy or save portions of this site for your own use only – provided that all copyright and trademark provisions contained on the site remain intact. While KBM uses reasonable efforts to maintain this site in an up-to-date fashion, it does not warrant the completeness, timeliness or accuracy of any information contained on this site, and may make changes thereto at any time in its sole discretion without notice. All information contained herein is provided to users “as is”, “with all faults,” “as available” and at your sole risk. If you believe that anything posted on this site offends your copyright or other intellectual property rights, is defamatory, or otherwise infringes your rights, you may email KBM at the email address at the bottom hereof. We will take actions we believe are appropriate in the circumstances. Your access to portions of the site requires a logon ID and password. It is your responsibility to protect that information, including without limitation, to use effective passwords that are not easily guessed or discoverable, and keep logon ID’s and passwords confidential. You may not use a logon ID that suggests you are someone you are not. You are responsible for any activity that occurs under your logon ID. You will advise KBM immediately if you discover any compromise of your passwords or suspect unauthorized use of the site using your identity. KBM tries to provide accurate information on this site, but errors may occur. KBM reserves the right to change the goods and services available through the site and their prices without any notice or liability. KBM cannot guarantee goods or services advertised on the site will be available when ordered or thereafter. KBM reserves the right at any time to reject, correct, cancel or terminate any order for any reason whatsoever. If you order goods or services for which the price was incorrectly displayed, KBM will provide you with an opportunity to place an order at the correct price. If you order goods or services that are not available, KBM will notify you by email. KBM reserves the right to limit quantities sold. Nothing on the site is an offer to sell. Your properly completed and delivered order form is your offer to purchase the goods or services in your order. Your order is deemed accepted only if and when KBM sends both an order acceptance and shipment notice to your email address, or delivers the content electronically. While we endeavour to keep the information up to date and correct, we make no representations of any kind about the completeness, accuracy, reliability, suitability, or availability of the website or its contents. Any reliance you place on such information is strictly at your own risk. As with all programs, techniques and materials related to health, exercise and fitness, you should not rely upon anything on or linked to on this website without obtaining the advice of a physician or other health care professional. You are responsible to ensure you are physically, emotionally and mentally able to participate in the programs, that your equipment is safe for use, and for your own personal safety. The nutritional and other information on this website is not intended to be and does not constitute health care or medical advice and must not be used to make any diagnosis. We do not employ dietitians or any other health care professionals. Although we do mention personal results and results of other persons in the form of testimonials from our services, these results illustrate extraordinary results which do not apply to every person who uses our service and you should not expect to achieve similar results. All promises made by KBM are contained in this agreement. No promises implied by law (whether described as warranties, conditions, representations, or otherwise, and whether relating to merchantability, fitness, non-infringement, or otherwise) apply. You cannot collect any damages from KBM for any reason (whether under legal theories of contract, tort, negligence, strict liability, operation of law or otherwise) that are not direct damages or exceed the amount paid by you to KBM hereunder for any goods or services that the claim arises from. KBM relies on these limitations when entering this agreement and setting its fees. They are a fundamental and essential part of our arrangement, and apply even if this agreement has failed in its fundamental or essential purpose or been fundamentally breached. This site is governed by the laws of the Province of Ontario excluding any conflicts of law provisions and excluding the United Nations Convention on Contracts for the International Sale of Goods. Any legal action against KBM shall take place in the courts of the Province of Ontario. The parties hereby submit to the non-exclusive jurisdiction of the courts of Ontario. Any third party sites that are linked to this site are not under KBM’s control. KBM is not responsible for anything on the linked sites, including without limitation any content, links to other sites, any changes to those sites, or any policies those sites may have. KBM provides links as a convenience only and such links do not imply any endorsement by KBM of those sites. KBM may change these terms by posting notice on its site. These terms were last revised on December 15, 2016. Nothing on this site is intended to be an offering for sale of KBM securities to the public.